As cultic-studies researchers, e have witnessed the worst of human behavior—from immaturity to outright cruelty. Whether it is intentional or through neglect, interpersonal abuse is the tragedy of cultic behavior. In this issue of ICSA Today we present the highs and lows of the cultic experience. 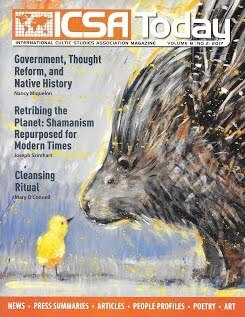 Nancy Miquelon considers the American government's genocidal treatment of Native Americans in terms of Robert Lifton and Margaret Singer's foundational discussion of cults. In Phoenix where I live, the Bureau of Indian Affairs operated one of the many boarding schools designed to purge Native Children of their heritage fro 1891 until the federal government closed the school down in 1990. Reading this article made me aware of the pain that undoubtedly took place in the school. Joseph Szimhart analyzes the new cult that has formed around ayahuasca, a powerful psychedelic drug from South America. Prophets of the drug, styling themselves as modern shamans, or healers, promote psychedelic experiences, much as Timothy Leary did in the 1960s. However, like LSD, which ahs shown therapeutic potential in clinical trials, casual experimentation with ayahuasca leads some to enlightenment, and others into psychosis. The memoir Greetings from Utopia Park by Claire Hoffman portrays the less tragic side of the cultic experience. Reviewer Gina Catena explains that, like herself, Hoffman grew up in the Transcendental Meditation (TM) organization. But though both men and women suffered parental neglect and witnessed mysterious deaths and sexual abuse, Hoffman, now a successful journalist, professor, wife, and mother, remains sympathetic, and her memoir is more of an unconventional coming-of-age story than a denunciation of TM. "Cleansing Ritual by Mary O'Connell brings together the dark and the light as the writer takes us along on her journey of healing after 20 years in Soka Gakkai International (SGI). I too was drawn into this group in the 1960s but never became deeply involved. My first cousin, however, became heavily involved with SGI and psychedelics, fell into schizophrenia, and ultimately committed suicide. Claire Hoffman and many of us left our cultic groups with a measure of harm we could attempt to heal. Not everyone is so lucky. Nori Muster, MS, is the author of Betrayal of the Spirit: My Life behind the Headlines of the Hare Krishna Movement (Univeristy of Illinois Press, 1997); Cult Survivors Handbook: Seven Paths to an Authentic Life (2000); and Child of the Cult (2010). During her years in IKSKCON (1978-1988), she was part of the organization's public relations effort known as the ISKCON Communications Ministry, and was an associate editor of the ISKCON World Review. Websites: surrealist.org, norimuster.com.